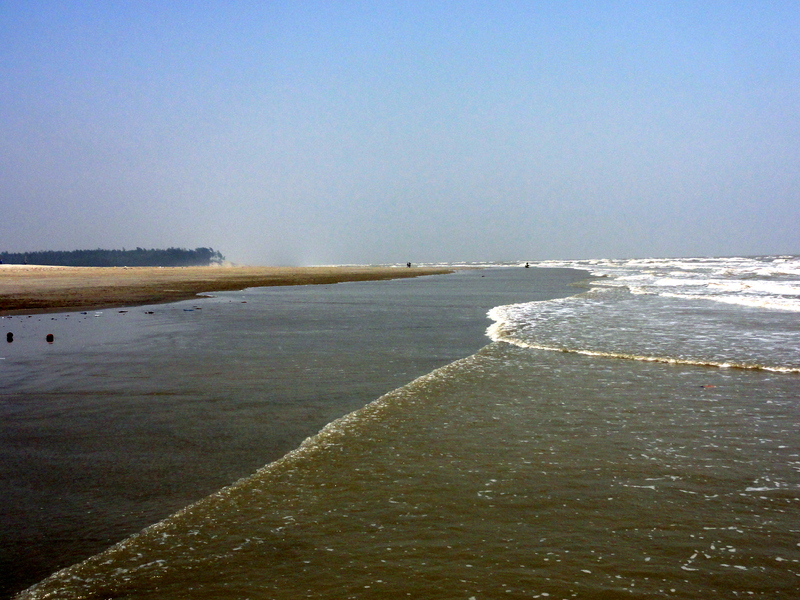 Endless stretches of soft silver sand amidst clear skies and gentle winds greeted us as we approached the holy waters of Sagardwip or Gangasagar. The pristine beach waters were fairly quiet and despite the soaring temperature, we had a great time as the frothy waters gently rippled around our feet. 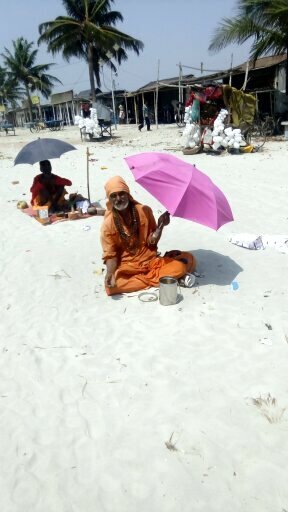 One of the most popular pilgrimage places in the country, Gangasagar is a holy island in the South 24 Parganas District of West Bengal state. It is here that India’s most sacred river and lifeline to millions, the Ganges drains into the Bay of Bengal. 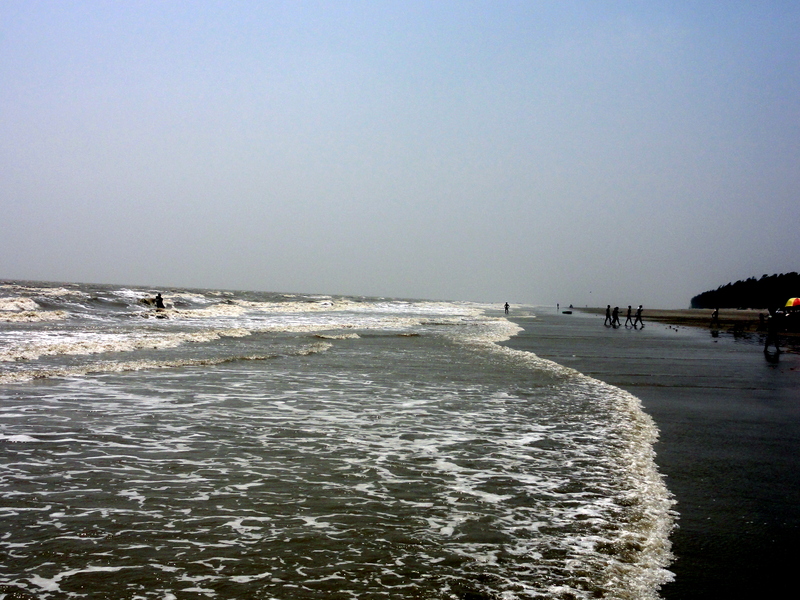 One of the most popular tourists destinations of West Bengal, Gangasagar is a favorite with tourists enthusiasts, adventure lovers and pilgrims alike. 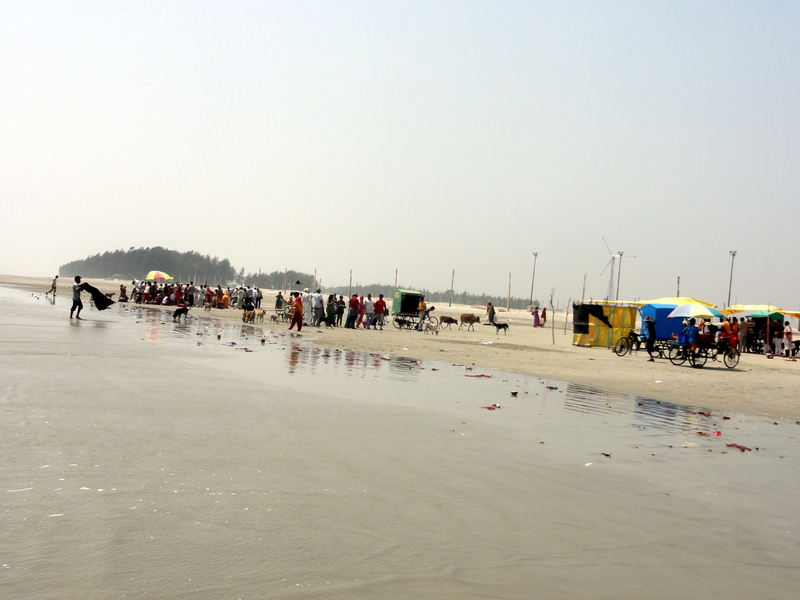 Gangasagar is extensively visited during Makar Sankranti which falls during the month of January each year. 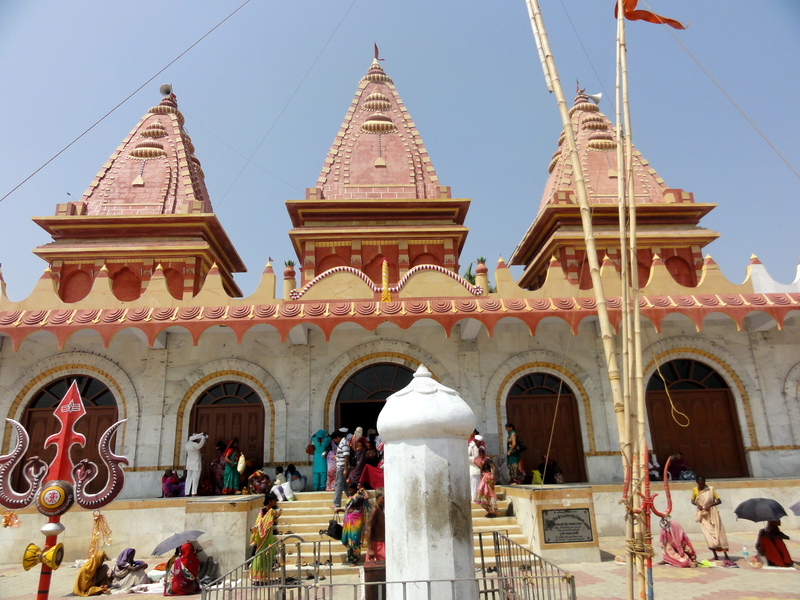 There is also an elaborate fair during this annual pilgrimage which is known to attract one of the largest congregations of people after the mega Khumb mela. After the traditional holy dip at the confluence, devotees offer prayers at the renowned Kapila muni temple on the island. 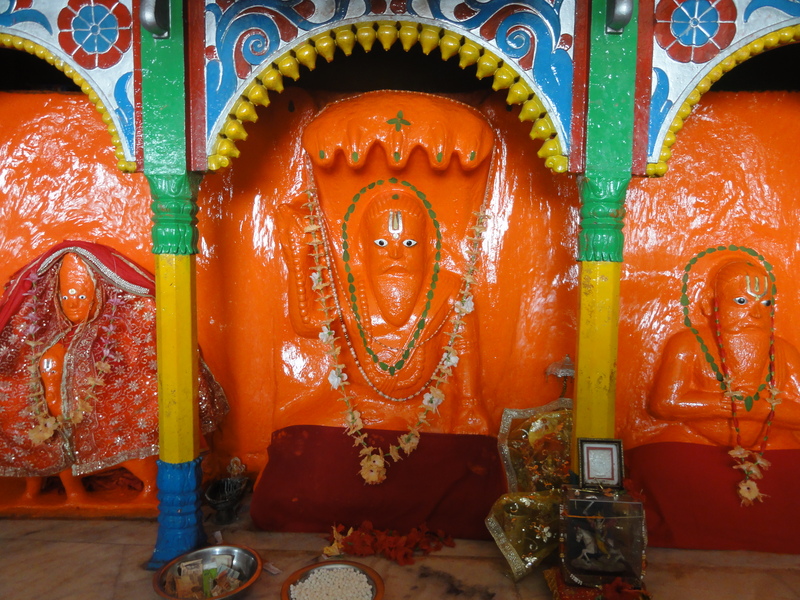 The temple is highly revered and is associated with a plethora of legendary tales having high religious importance. Given my love for estuaries and confluences as stated earlier, I was glad we visited this sacred place during our recent visit to Kolkata. 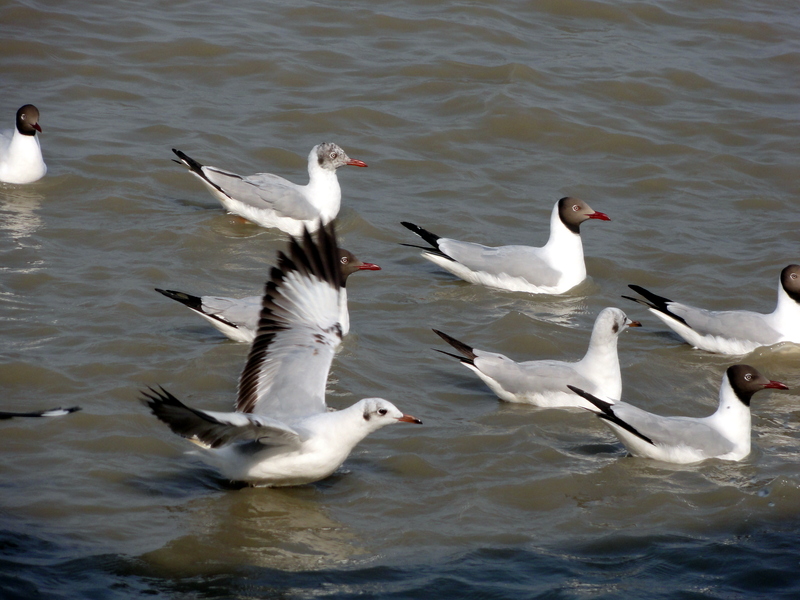 Located around 100 kms from the city, Gangasagar can be approached from either Harwood point or Namkhana jetty. 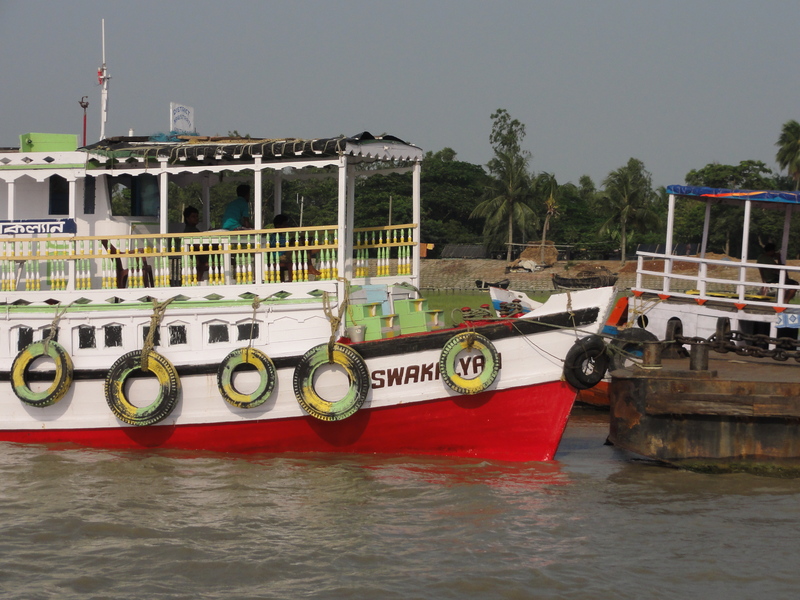 Ferry services are available in both Harwood point and Namkhana and are run by West Bengal Surface Transport Corporation. The ferry which lasted about 30 minutes was quite an enjoyable experience though it tends to get quite crowded. While it was teeming with people and vendors, I had a great time watching the birds from the boat. 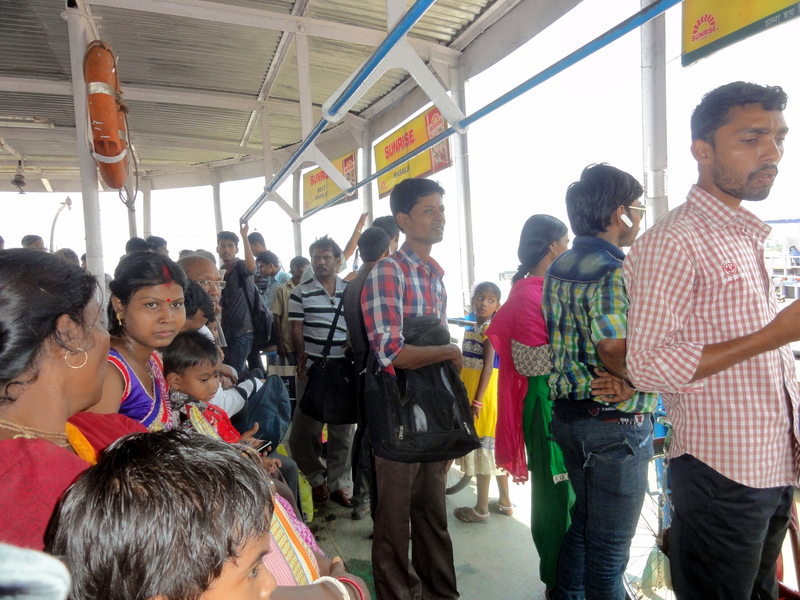 The ferry takes you to Kachuberia from where you can hire a private vehicle or board a bus to Gangasagar about 35 km away. Some splendid photos, I would also have enjoyed the ferry trip. Yes Marion, that was quite memorable. A beautiful Post.. Well narrated with interesting Photographs! That’s a nice trip and you have it captured really well! Love the vibrant orange at the temple. For a change, I have been to this place. I actually spent a couple of hours (traveled via train from Kolkata to here and then back the same day – reaching at 11.30 pm in Salt lake). I so wanted to visit this place back then, and did so on my own. Lovely visiting it again thought your post. I have the picture also (similar to your Kapil Muni ji’s shot) in my temple. Also nice to hear from you after such a long time! Thank Jyotirmoy; hope you can visit soon! A very nice post and superb photos. I am waiting with pleasure new posts! I love your photos! Really amazing! Thank you so much Franzi!